Would you allow a stranger to have a lien against one of your most valuable assets without knowing something about them? If you need a property tax loan, you should have some idea who you are dealing with before you get the loan. The process for a property tax loan is that the property tax lender pays your taxes to the Tax Collector and then gives you a payment plan to pay them back. The Tax Collector transfers the tax lien to the property tax lender and that is the lender’s security for getting paid under the payment plan. If you do not pay the property tax lender as promised, the property tax lender can foreclose on the property and have it sold at a public auction and receive the proceeds from the sale for repayment of the property tax loan just as the Tax Collector could have had your taxes not been paid. Not all property tax lending companies in Texas are the same. You should be concerned not only with the interest rate and cost of the loan but also with the business practices of the company that will be holding a lien on your property. Here are some things to consider in choosing a property tax lender. Will they help you decide if you really need a loan? If the property that you owe taxes on is your homestead and you are disabled or over the age of 64, you should not get a tax loan. Instead you should talk to your Tax Assessor about a tax deferral or to your Tax Collector about a payment plan. Also, some situations do not make economic sense for the property owner to get a property tax loan. If the property tax loan will not save you money or help you avoid a foreclosure that you could avoid without the loan, then you do not need to get a property tax loan. Find a lender that will help you evaluate your actual cost of the tax loan and compare that to your cost if you just try to pay the Tax Collector back as fast as you can. In some cases, particularly when your tax bill is under $3,000, you are better off without a tax loan. Does the company “loan to own” or do they try to avoid foreclosures? When a property tax lender makes a loan to you, they will have a lien against your property until your loan is paid back. They should not take this responsibility lightly. The lender should make the loan with the expectation that you will keep your property and pay the loan back. Some lenders view foreclosure as a success and see more profit in the foreclosure than the loan. They hope you don’t pay them back. Others view foreclosure as a failure and will work with you to avoid it. Try to find a company that will structure a loan with terms that you will be able to pay back successfully. Second, try to find a company that will work with you to keep your payments current and to keep you in control of the property. Finally, try to find a company with a low foreclosure rate. Do they service all of their loans? Not all property tax lenders service their own loans. “Servicing” a loan means collecting the payments and providing the accounting information to the customer as needed. Some property tax lenders service 100% of their loans. Some property tax lenders make the loan to you, and then they transfer your loan’s servicing to some other company, possibly in another state, to collect the payments for them. When you call them, you may get a different person who knows nothing about you or your loan. If you get a loan with a company that services its own loans, you can call the same number you always call and you can talk to the same person you always have talked to about your loan. They will know who you are and will be able to help you with what you need. What is their Late Payment Policy? Let’s say something happens and you can’t make your monthly loan payment. What will your property tax lender do? Do they offer a grace period where you can be late without incurring any late fees? If so, how long is it? After any grace period, how much is the late fee? If you miss more than one payment what will happen? Does your lender have a history of changing the interest rate, turning late paying accounts over to a collection firm, or even foreclosing on customers that have missed a few payments? Not all property tax lenders handle late payments the same way. Be sure to ask about their late payment policy. Will they help you in the future? Most property owners who get a tax loan are able to successfully pay back the loan and get out of the situation that caused them to need help with their taxes. They pay off the tax loan and move on. 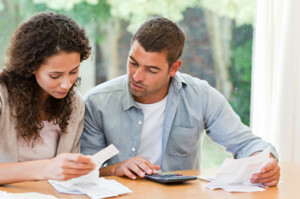 Other borrowers may take longer to get back on their feet financially. They may need help the next year or maybe another time in the future. Find out if the company will make another loan to you in the future for next year’s taxes, if needed. Some lenders have made second, third or even fourth loans to their customers to help them save money and keep ownership of their property. Can they help you clear title to your property if needed? Will they customize the loan for your situation? Not every property owner needing a property tax loan has the same set of circumstances. The company should listen to you and try to structure a loan that will give you the most benefit in your situation. Do they require a credit check and will this loan go on my credit report? Some property tax lenders will require you pay for a credit check and then deny the loan if you don’t have a sufficient credit rating. Other property tax lenders do not perform a credit check and will not report any missed payments to the credit agencies. For the latter, the fact that you are a property owner and that you have the ability to make the loan payments is all that matters. The loan is going to be secured by the tax lien on the property so you should be able to get a loan even if you have a low credit score. Ask the property tax lender if they require a credit check and if they will report your tax loan to a credit reporting agency. If they do, this may affect your ability to get other loans in the future. Do they charge an application fee before they will give you an estimate? Some property tax lenders charge an application fee just to consider if they’ll make you a loan. Others will review and approve your loan without an application fee. Most property tax lenders can give you an estimate of your loan terms immediately over the phone. Many lenders will also mail you a written “Good Faith Estimate” that contains all of the financial details of your property tax loan. Be sure to find out up front if they will charge you an application fee, and how much that is. Do they require a personal guaranty if the loan is to your LLC or Corporation? repayment of the funds. No personal guarantee means that you won’t be personally sued if the loan goes into default and that you don’t need to show the tax loan as a personal liability on your financial statements. Be sure to ask if the property tax lender requires a personal guarantee. Are they licensed by the Office of Consumer Credit Commissioner of the State of Texas (OCCC)? The State of Texas regulates property tax lending through the OCCC office. This office requires minimum standards of capitalization, professionalism, and official licensing for property tax lenders. Contact the OCCC to ask them about the company you are considering at 1-800-538-1579, or visit their web site at www.occc.state.tx.us to verify that the company is licensed. Be sure to ask if any consumers have filed complaints against the company and how that complaint was resolved. It is important to note that a good company can have a complaint filed against them. What is important is how the complaint was resolved. If the complaint was dismissed or resolved to the customer’s satisfaction, you should not be overly concerned. You should not do business with a company not licensed by the OCCC, as they are likely operating illegally. Do the Loan Officers with the company all have an NMLS license? experience to structure a loan that will meet your needs. You should ask the loan officer for their NMLS number. If they do not provide a six digit number, they are not licensed and you should avoid that company. Is the company a member of the Better Business Bureau and what is their rating? Look up the company’s rating on the BBB website, found at www.bbb.org. Look for a company with an A+ rating. These are companies that have no or very few complaints. Check the complaint history and see how any complaints were resolved. It is smart to avoid a company that has had a lot of complaints! Is the company a member of the Texas Property Tax Lienholders Association? The Texas Property Tax Lienholders Association (TPTLA) is a group composed of the leading property tax lending companies. The Association’s goal is to raise awareness of property tax lien transfers and promote high standards of behavior among its members. The companies in this association are among the best in the industry. Their web site is www.tptla.org. What do their customers have to say? You don’t have to take the property tax lender’s word for it. Ask the company for customer references. Then, call their references and ask them how they’ve been treated and whether they plan to continue doing business with the company. Email us at info@PropertyTaxLoansForTexas.com or call 866-PROP-TAX. About the Author: Charles E. Brown is founder and President of Hunter-Kelsey. Mr. Brown is a Director of the Texas Property Tax Lienholders Association and holds a NMLS license. He has 25 years experience as a Texas real estate attorney and is Board Certified by the Texas Board of Legal Specialization in Commercial and Residential Real Estate law. Feel free to direct comments or questions to Mr. Brown at cb@hunterkelsey.com.